After a Thanksgiving day full of family + food + new memories, I've got one thing on my mind -- the holiday season. And a handmade one, of course! 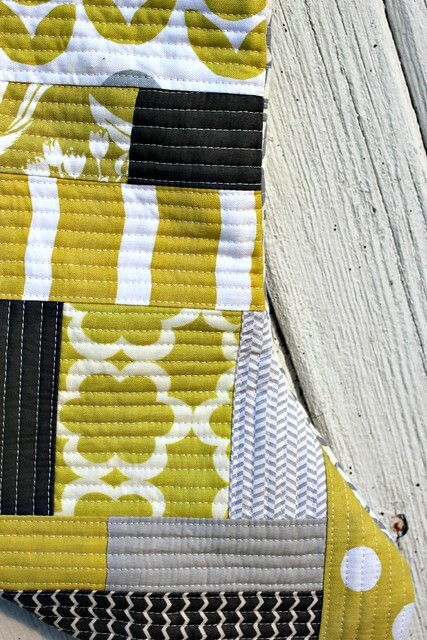 My "to-sew" list is quite lengthy including new stockings, a tree skirt, and handmade presents, too. So with less than 5 weeks (yikes!) until Christmas, I'm on a handmade holiday mission! First up are those "his & her" Christmas stockings. Rather than stick with the traditional red and green color palate, ours are a fresh combo of lime green + hot pink + grays! 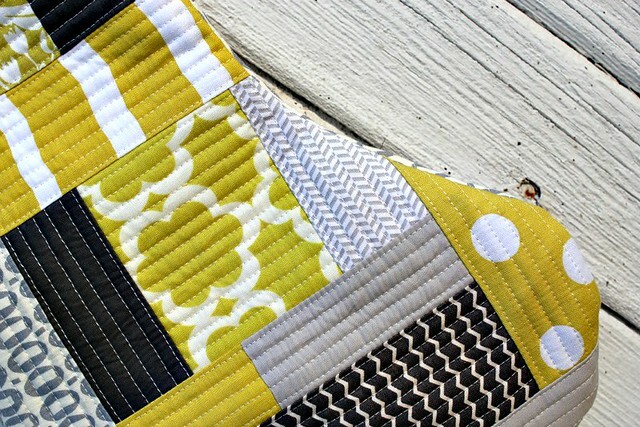 I'm using the quilt as you go (QAYG) technique that I seem to be hooked on lately. You can never have too much of a good thing, right?! 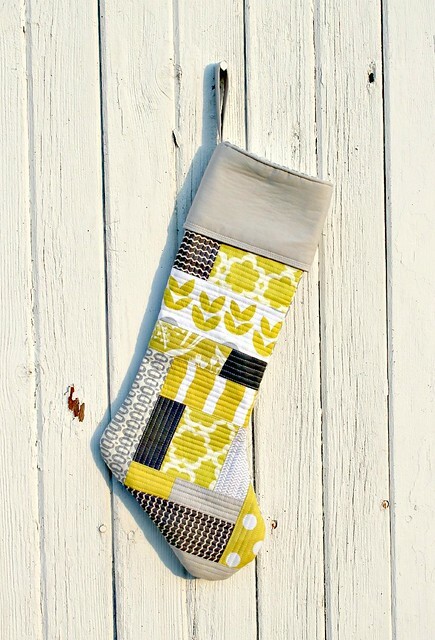 I'm hoping the finish up my stocking this weekend -- that will be the hot pink + gray one! If your interested in trying your hand at a little QAYG, I highly recommend this tutorial from Elizabeth Hartman. It's a great place to start & I followed the same basics for my Christmas stocking. Will you be celebrating a handmade holiday this season? What projects do you have planned? I need to try QAYG! It looks so awesome! Love the stocking! The staocking is super cute!